The Bellman’s rule: What I tell you three times is true! But 16 times is fine too. 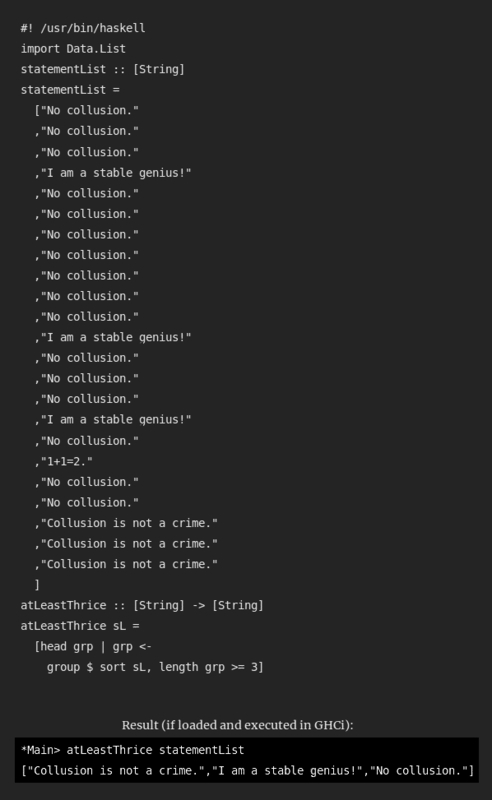 "Collusion is not a crime, but that doesn’t matter because there was No Collusion." Trump is scared. Let's help him: https://t.co/nnz5jboHYB proves that there was no collusion.